England Women’s team are quite confident as they have won previous games leaving a mark on the opposition. On the other hand, Australia Women also won the last match and is through to the finals. In Today’s Dream11 Fantasy Cricket Prediction of AUS-W v ENG-W 5th T20 we will provide you important Statistics of the match. We will provide you all the details related to the 5th T20 so that you can make perfect Dream11 or Myteam11 Fantasy teams. The details will include pitch report, recent and past performance of the players, playing 11, weather Report, Who will win the match and what astrology has to say about toss prediction. We may be interested to read PAK W vs SL W 1st T20 Prediction. To win in any fantasy leagues you need all the above information. And we know it will take time to gather all the information but don’t worry crix11 will provide you all the details for FREE. But there is a condition you need to read the post till the end so that you don’t miss any details and your winning chances increases to 100%. Please make sure to read the whole article. Who Will Win the 5th T20 Match Between AUS-W vs ENG-W? Date: 28th March 2018 (Wednesday). Match: Women’s T20 Tri-Series in India, 2018, 5th Match, AUS-W v ENG-W. In the previous four games, the pitch of Brabourne Stadium supported the batsmen and it will remain the same in next match. The seamers will get some help from the pitch initially. As we have predicted in the last match that there is something for batsmen and bowlers both, the situation will remain same. England has won last three T20’s in sequence. If we look at last five matches England Women has won 3 out of 5 games and Australia Women have won 2 out of 5. Australian girls are dominating team but in the last couple of games, England girls were more dominating. In the daytime, it is expected to be Hazy Sunshine. The maximum temperature will be 34-Degree Celsius and the minimum will be 28-Degree Celsius. There is no sign of rain on the match day, so you can enjoy the full game. Heather Knight (c), Natalie Sciver, Danielle Wyatt, Danielle Hazell, Bryony Smith, Katie George, Amy Ellen Jones (wk), Tammy Beaumont, Kate Cross, Jenny Gunn, Tash Farrant, Sophie Ecclestone, Alice Davidson Richards, Fran Wilson, Anya Shrubsole, Alex Hartley. Meg Lanning (c), Rachael Haynes, Ellyse Perry, Sophie Molineux, Megan Schutt, Delissa Kimmince, Ashleigh Gardner, Elyse Villani, Beth Mooney, Amanda Wellington, Alyssa Healy(wk), Nicola Carey, Jess Jonassen, Naomi Stalenberg. Promoting Wyatt up the order is doing wonders for Knight. England girls have won the last five games without losing a single game. Bringing Frant in place of Wilson also proved a good decision as she took two wickets in the last match. It is expected that ENGW will play with same playing 11. Heather Knight (c), Natalie Sciver, Danielle Wyatt, Bryony Smith, Katie George, Tammy Beaumont, Jenny Gunn, Tash Farrant, Sophie Ecclestone, Amy Ellen Jones (wk), Alice Davidson Richards. Australian fast bowler Megan Schutt made the last game difficult for the opposition by taking a hat-trick. Although Ausw has lost a couple of games against Engw, they have the potential of defeating any team. Meg Lanning will play with the same playing 11. Meg Lanning (c), Rachael Haynes, Ellyse Perry, Megan Schutt, Delissa Kimmince, Ashleigh Gardner, Elyse Villani, Beth Mooney, Amanda Wellington, Alyssa Healy(wk), Jess Jonassen. Note: As both the teams have booked their spot in the final it may happen that they can check their bench strength. If any changes happen we will update the team, so please check the team again before one hour of match start time. Alyssa Healy: In the last three matches Healy has scored 44 runs. In the last game, she scored 9 runs and contributed 7.5 points. 41.93% of the dream11 fantasy users have selected her in their team. Tammy Beaumont: Beaumont is in good form and consistent as well. In the last four T20’s including practice match, she scored 181 runs. She has scored 35 runs in the last match and contributed 26 points. 55.15% of the users have chosen her. Pro-Tips: If you are playing with a single team then keep Tammy in your team. For multiple teams make a combination of the above two players. Meg Lanning: In this Women’s Tri-Series Lanning has scored 46 runs. In the last match, she has scored 11 runs and contributed 8 fantasy points. 23.32% of the users have taken her in their team. Danielle Wyatt: Wyatt is in best form. She has scored 201 runs in last four games including practice matches. She has scored 124 runs in the last match and contributed 84.5 points. 88.57% of the users have selected her in their teams. Heather Knight: She scored 60 runs and took 2 wickets in the last four T20s including practice games. She has scored 8 runs in the last T20 and contributed 6.5 points. 35.03% of the users have chosen her. Beth Mooney: Mooney has scored 120 runs in the last three innings. She has scored 71 runs in the last match and contributed 45.5 points. 85.76% of the users have selected her. In the last 10 matches, Beth has scored 375 runs with an average of 53.57. Elyse Villani: In this series, Villani has scored 105 runs so far. In last ten matches, she has scored 265 runs with an average of 33.12. In the last inning, she has scored 61 runs and contributed 41.5 points. 76.74% of the users have selected her. Rachael Haynes: Haynes has scored 87 runs in the last couple of games. She scored 10 runs in the last match and contributed 7.5 points. 49.98% of the users have selected her. Pro-Tips: Try to keep the batsmen who open or bats up in the batting order as the pitch will be batting friendly. If you are playing with multiple teams try to make a combination from the above list. Ellyse Perry: In this Tri-Series, she has scored 3 runs and took 2 wickets. In the last match, she scored 1 run and contributed 3.5 points. 21.65% of the users have selected her. Natalie Sciver: Sciver has scored 136 runs and took 4 wickets in this tournament including practice matches. In the last inning, she scored 12 runs and took 1 wicket and contributed 15.5 points. 84.79% of the users have taken her in their team. In last 10 matches, she took 11 wickets. 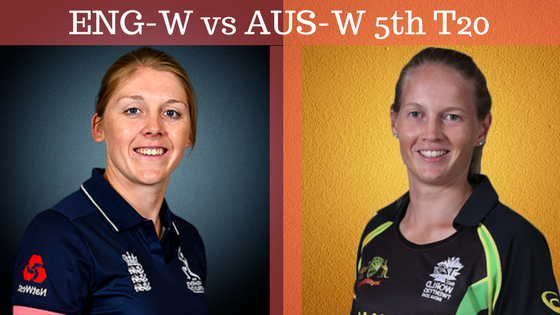 Ashleigh Gardner: Gardner scored 60 runs and took 3 wickets in this series so far. In the last inning, she scored 17 runs and took 1 wicket and contributed 19.5 points. 85.14% of the users have selected her. Pro-Tips: For small leagues try to keep Sciver and Gardner in your team as both players are top order batsmen and contribute with the ball as well. For multiple teams make a combination from the above list. Megan Schutt: In the previous game, Schutt became first Australian Women to take a hat-trick in International Crickets. In this series, she has taken 4 wickets. In last game, she took 3 wickets and contributed 36 points. 85.43% of the users have chosen her in their teams. In last 10 innings, she took 11 wickets. Tash Farrant: Farrant took 4 wickets in last four matches including practice game. In the last match, she took 2 wickets and contributed 22 points. 61.97% of the users have kept her in their team. Katie George: In the last 4 games she took 4 wickets including practice matches. She was unable to contribute in the previous inning. 10.22% of the users have selected her. Amanda Wellington: Wellington couldn’t contribute with the ball in the last inning but if we look at last 6 innings she took 9 wickets. 18.39% of the users have selected her in their team. Pro-Tips: You can make a combination from the above list. Pro-Tips: Try to keep top-order batsman as a Captain and Vice-Captain. All-rounders who bat at the top are also a good choice because they will contribute with bat and ball both. Both teams are strong teams. England women have won last two encounters in this Women’s Tri-Series and Australian Women will love to reverse the situation in 5th T20. According to our astrology department, AUSW will win the match on 28th March 2018. In last four games, the team winning the toss has decided to bowl first and the situation will remain the same in Today’s cricket match also. Our Astrology team has predicted that Australia will win the toss on Wednesday and will opt to bowl first. Conclusion: The Whole world is trying to gather data. Many readers of crix11.com have asked what is the trick to win in dream11? The answer is simple, we have provided each and every detail in Today’s Fantasy Cricket Prediction of AUS-W v ENG-W 5th T20. You just need to make a perfect team seeing the data. GOODBYE!